Codefresh recently released its enterprise solution, offering advanced deployment options, Windows, Arm (32/64-bit) build support, and enterprise-grade permissions and authorization, making it easier and up to 24x faster to deploy applications to Kubernetes. 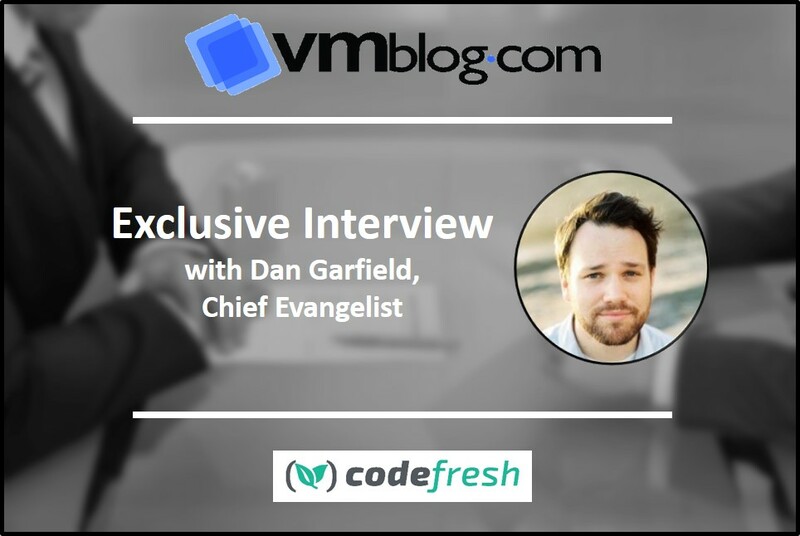 Dan Garfield, Chief Evangelist of Codefresh, and I talked about the unique features, and how developers can now "have their cake and eat it too." VMblog: Codefresh recently announced its enterprise solution. Who's already using it? Garfield: A mix of companies we think of as technology and forward-thinking media companies. The list includes HP, Arm, CBS, TBS, and many more. VMblog: Describe the hybrid agent; does it work with or without Kubernetes? Garfield: The most unique feature of Codefresh Enterprise is the hybrid infrastructure, meaning Codefresh can securely access and work with internal systems so builds do not leave the infrastructure, and companies maintain ownership of their builds. We support the agent in a cluster where it will setup a set of scalable services for building containers and running pipelines. You can also provide a node for the agent to run in. So, it works with and without Kubernetes. VMblog: Why is this important to developers? Garfield: With Codefresh Enterprise and hybrid deployment, developers can have their cake and eat it too. Enterprises want to use SaaS software, but for security reasons, they often have to install and manage software themselves. Managing all that software is expensive, inflexible, and hard to maintain. Codefresh's hybrid model provides a SaaS-like experience while keeping builds and code on the user's infrastructure. VMblog: Who provides the infrastructure in Codefresh Enterprise? Garfield: For hybrid, the user only provides the build infrastructure, the management infrastructure lives on Codefresh's servers. Full on-prem however puts everything on the customer's infrastructure. VMblog: Is this only for containers and Kubernetes? Garfield: No, we have teams using Codefresh to build, test, and deploy serverless functions on a variety of platforms. In the case of Arm support, we have users building binaries in some cases. Codefresh is optimized for dealing with containers but that doesn't mean you can't build binaries or deploy non-containers. VMblog: What Kubernetes clusters are supported? Garfield: Any Kubernetes-certified or conformant cluster is supported in Codefresh, that includes offerings from Amazon, Azure, Google, IBM, RedHat, Stackpoint cloud, Rancher, and dozens of others. In reality, Codefresh supports nearly all Kubernetes clusters. VMblog: And how is Codefresh different from other CI/CD tools? Garfield: There are mainly two things that set Codefresh apart. The first: Codefresh is optimized for containers. That means builds are faster and there are a lot of built-in steps and tools to streamline container-driven development. Second: Codefresh has a heavy emphasis on CD (continuous delivery/deployment). Many solutions talk about CD but few have the kinds of tools that Codefresh does for making CD a reality. The Kubernetes and Helm dashboards are a big part of that and make it easy to configure new services, update old ones, and to automate the software-delivery process. There really is no tool that covers the continuous delivery pipeline like Codefresh. Check out my blog for more details: "Codefresh Delivers for Enterprise: RBAC, On Prem/Hybrid, SSO, Windows and more." VMblog: Finally, why is the industry excited about Istio? Garfield: You have to realize Istio replaces a lot of homegrown tools that companies have had to maintain themselves and was therefore expensive and had a high barrier to entry. Today, Istio is one of the most important technologies of 2018, second only to Kubernetes. Istio is a cool network mesh that helps with security, load balancing/routing and telemetry. Before Istio dealing with logging and telemetry, security policies etc. all had to happen in the application layer. This means a lot of overhead for engineers just disappeared. Istio follows the Kubernetes' model when it comes to configuration management. With Istio, it's easier to make applications communicate in a secure way, create/enforce policy, and handle networking. Dan Garfield is a full-stack engineer, kubernaut, and has long running experience with Istio and Helm. He's contributed to a number of open source projects. As a Google Developer Expert, and ex-Atlassian, he's travelled the globe teaching and guiding teams adopting Kubernetes. Ask him about his raspberry-pi powered chicken coop.